It is summertime and if you are a lot like me, you are on the go all summer! We are constantly running back and forth to events, the lake, and parties. When grocery shopping, it can be such a pain because the bags always fall over the back of the car. 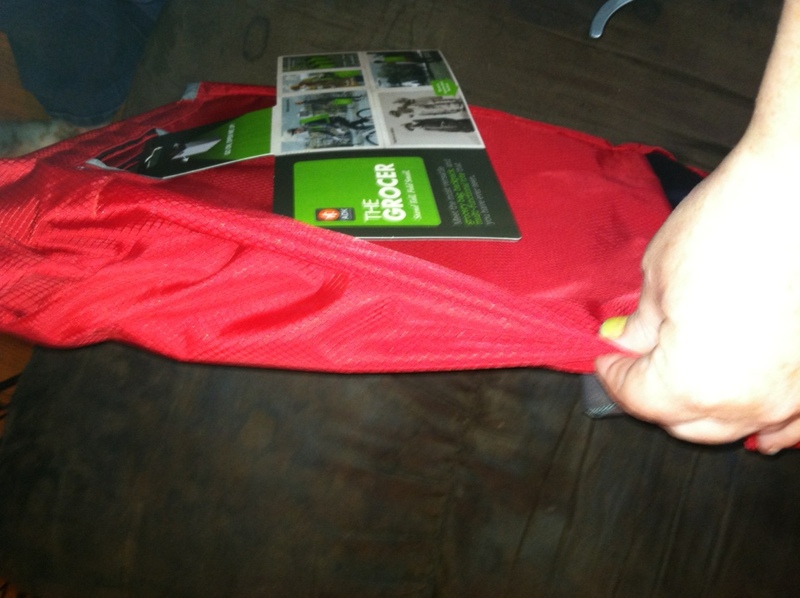 We love the reusable bags, but sometimes we need something more sturdy and upright. We recently received The Grocer for review, and have been using it ever since. 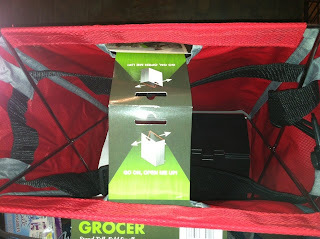 The Grocer is a bag that collapses for easy storage. It is very thin when collapse, so it is great for traveling in the back of the van. 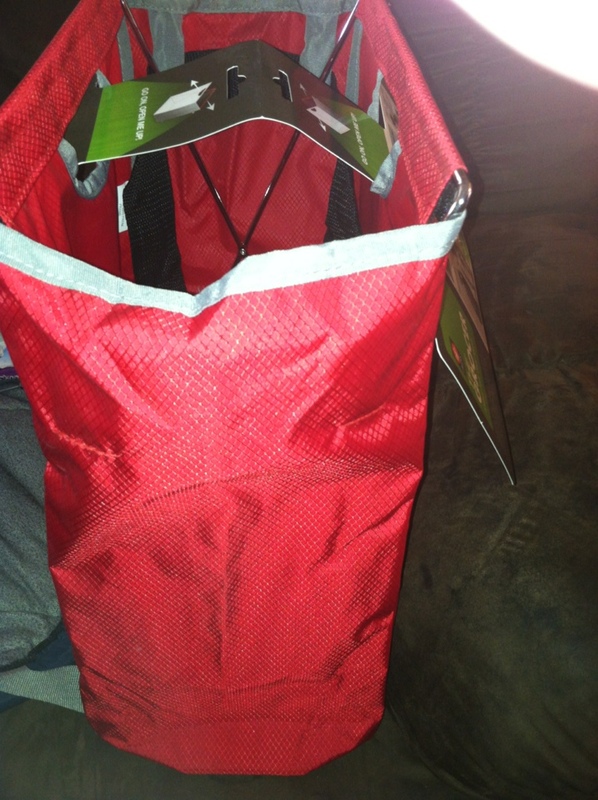 When needed, you side it apart, and it makes a sturdy, upright bag. It sits upright on its own, so if you have produce, you can simply slip it into the bag, and it will be protected on your drive home. 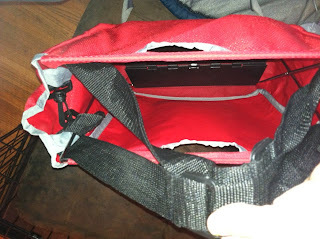 We love the carry handles and often bring the bag into the store with us. It makes it much easier, and we simply place it into the car. When we are done with it, we collapse it down again. 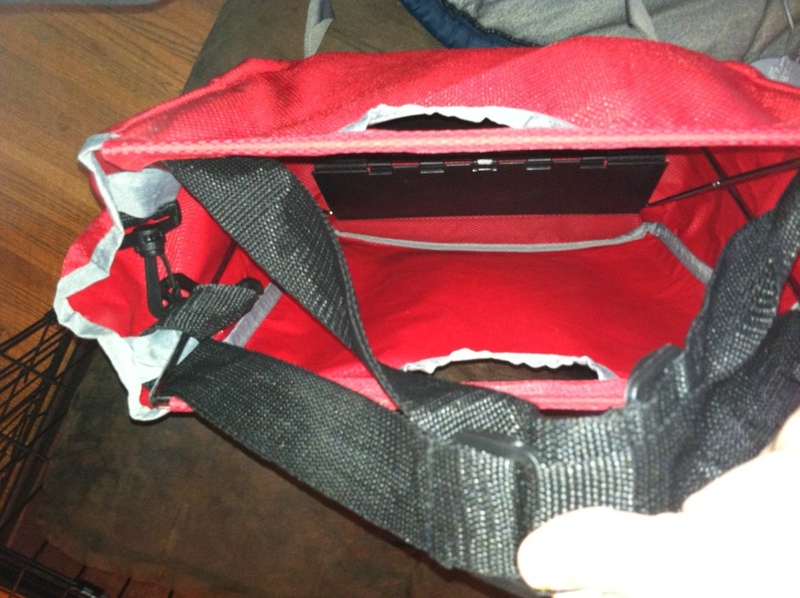 The straps can actually be reconfigured to be over the shoulder, as a backpack, or as seen below as a carrying bag. MamaBreak received a The Grocer bag to review here on the site. We did not receive any other type of compensation. As always, our experiences and opinions are our own.